When he came over from Italy, Jonathan Secchiaroli’s great grandfather settled in Connecticut to begin a farm. He started with a barn, dairy cattle, and some pigs. 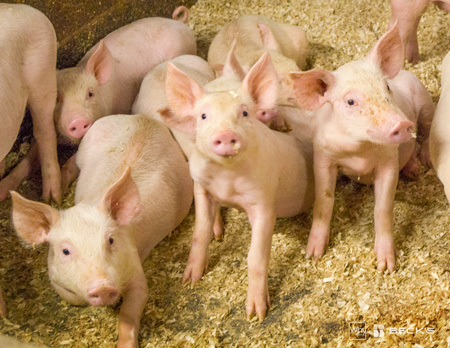 The pig business grew, so the family transitioned to a pork specialty. In 2011, Jonathan took over the farm, and the responsibility of providing his community with protein, from his father and oldest brother. Today, Jonathan and his wife, Hazel, live and work on the farm along with their three young children. 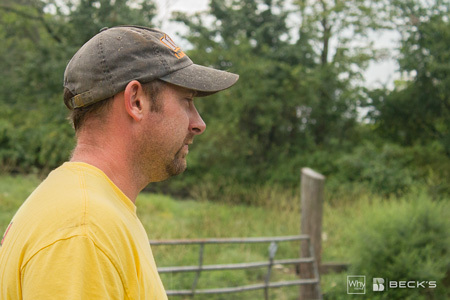 Farming has been a part of Jonathan’s family for generations. Hazel, however, was raised in San Diego, California, and considers herself a “city kid.” When she moved east in 2000 to be with Jonathan, Hazel experienced quite a lifestyle change. “It is sort of a different way of life, so it was an adjustment at first, but I think seeing how much the farm was really part of his family helped. His family was so welcoming.” Hazel recalls. Since taking over the ownership and management of the farm, this generation of Secciarolis have found a passion for connecting with the people in their community. 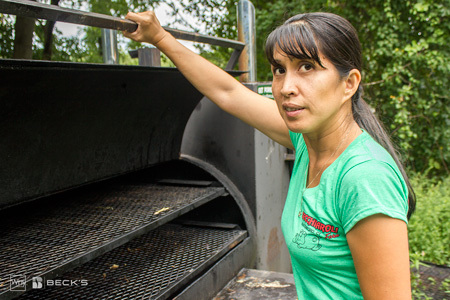 Three years ago, they began taking their meat to farmers markets in the area. “We enjoy being able to connect with the community and having that direct connection to people that are buying the product. They often say, ‘Oh, I know your family. I went to school with so and so.’ It’s nice to be part of bringing that family legacy to the community as well.” Hazel smiles. In addition to farmers market sales, the Secciarolis are known for their roasting pigs. “Jonathan has built up the farm in a way where he’s producing pigs and he’s got equipment people can rent so they can have their own pig roasts.” Hazel explains. An alternative to hiring a caterer, a pig roast provides food for a celebration like a graduation or birthday, plus a unique experience. The family has plenty of tips and tricks for first time roasters. The couple hopes that one day their children will want to farm. With that in mind, they continue the family’s long history of feeding their livestock food scraps. “Jonathan’s consistent daily routine is going on a truck to various food establishments. He’s one of three farms that is licensed in Connecticut to pick up food waste from local colleges, the coast guard academy, etc. We pick up their food scraps and that way it’s diverting it from landfills. He does that every day, and then he has to steam cook it, and feeds it to the pigs. It helps the environment because all of that food, people are just throwing away, and we’re turning it back into protein. I think just being able to be part of that for the community is something that is special to us.” By ensuring the farm is sustainable, the Secchiarolis are protecting their children’s opportunity to carry on the family legacy. That’s why Jonathan and Hazel Secchiaroli farm.